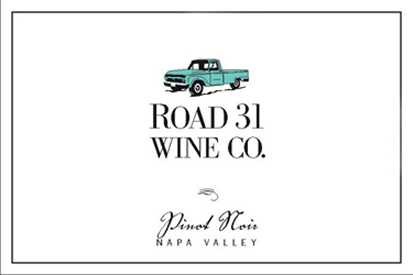 Road 31 Wine produces tiny batches of one handcrafted Napa Valley Pinot Noir. The label pays homage to the gravel road outside Kent Fortner’s grandparents’ homestead back in Kansas—where he too was born—and the green ’66 Ford Truck that drove it regularly. His grandfather, a farmer, willed the truck to Kent when he passed in ‘86, and the truck now seems right at home bouncing among the vines of Napa. The green truck and Kent oversee farming, harvest and hauling of the grapes to cave space borrowed from some friends up in Stag’s Leap district of Napa. His hands oversee every step of the crafting: fermenting, barrel aging, bottling, and peddling. Kent is a one-man show (with a little help now and then from his wife, his cousins, and Daisy Dog).